KINGSMEN CMTI Plc, a Thai-based provider of “one-stop services” in design and construction for retail and corporate interiors and exhibitions for the events industry, will open an office in Phnom Penh as it deepens a push into neighbouring countries this year. Pravit Sribanditmongkol, managing director of Kingsmen CMTI Plc, said the company is well positioned for expansion in what it calls its CLM sub-region market: Cambodia, Myanmar and Laos. Pursuing such opportunities could be profitable, he said, particularly in support of industries linked to infrastructure investment in the CLM countries. Pravit said that construction industry activity is expected to see further support from government efforts to stimulate economic growth through large-scale investments in infrastructure. “This year we are expanding our market to Cambodia. Our office in Phnom Penh will offer the same services as those provided by the Kingsmen group elsewhere,” he said. Kingsmen CMTI Plc was established in Thailand in 1989 as CMTI Co Ltd to serve the design and construction needs of the exhibition and related events industry. The company joined with Kingsmen Creatives Ltd of Singapore in 2002 and has a network of 19 offices across the Asia Pacific and the Middle East. It was listed on Thailand’s stock market in 2015. 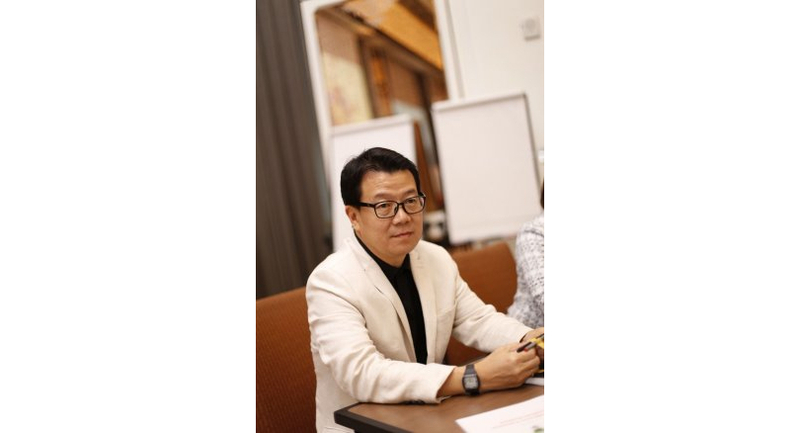 With 29 years’ experience, the firm has been serving international and local clients on their design and construction requirements for interiors, exhibitions and events, museums and learning centres, including marketing activities and marketing communications services, Pravit said. “For the MICE industry, these also important for us because we started the business from the exhibitions and events industry,” said Pravit, referring to meetings, incentives, conferencing, exhibitions. “We now have so many more clients that trust in our services. For example, Kingsmen C.M.T.I. Plc. is the official contractor for the Thailand International Motor Expo, the largest automotive show in Thailand. And we have been the official contractor for Money Expo Series for more than 10 years. We have operated since the beginning based in the design, construction and events management spheres. “The key competencies shared among the Kingsmen group stem from holistic approach to design. This is driven by our corporate culture, which involves creative thinking in everything that we do. Great design fosters collaborations, communicates strategies and, most importantly, inspires our people to reach greater heights. And because we are a one-stop services company for our clients, we can serve in every stage of clients’ masterpieces from the creative concept, research and design, production, construction as well as events management. Pravit said that Kingsmen CMTI plans to achieve between 20 per cent and 25 per cent of its revenue growth from the focus on the MICE industry and mixed-use properties. This ambition was founded in “the great potential for future development and growth of these two businesses” in Thailand. “Other important parts of the company are our employees and stakeholders. Equal opportunity is of the utmost importance on the business plan,” Pravit said. “We are dedicated to fostering a diverse workforce. We embrace the perspectives and backgrounds of our diverse employees and take affirmative action to offer equal employment and advancement in opportunities to all. We have also established an open dialogue with all stakeholders by operating our business in a transparent manner, marked by consistent engagement and clear disclosure. “As a vice president of the executive committee at Thailand Exhibition Association (TEA) from 2017-18, I foresee positive signs for growth in the MICE industry in Thailand. One reason is because the Thailand Convention and Exhibition Bureau (TCEB) has strengthened its partnership with public and private sector organisations to help facilitate the needs of MICE travellers. He said the major business challenge of the day is the ever-changing world and how companies can adapt their services to the suit the emerging trends for both the interiors and trade show sides of the business. Since last year, the company expanded its services beyond retail and corporate interiors to add services for public areas, hospitality, architecture and engineering. “Another challenge is that we are facing the digital disruptive situation and yet must also stay tuned into it,” Pravit said. “Kingsmen CMTI is committed to expanding our business responsibly and reducing our impact on the environment. We are a green organisation and our approach to sustainability is integrated across our business activities. We work in collaboration with various government bodies and entities to ensure sustainable work environments.